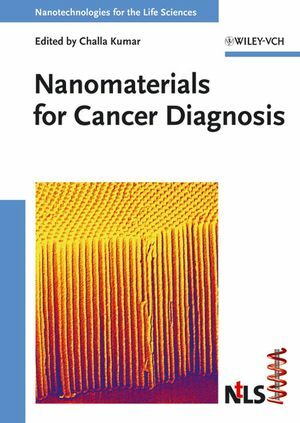 This first in-depth overview to cover all important types of nanostructures being explored for cancer detection brings together the diagnostic side of oncology and nanotechnology. 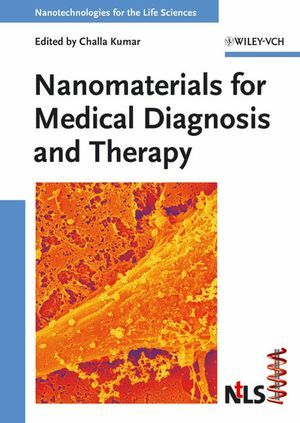 It presents imaging techniques as well as magnetic, metallic and non-metallic particle-based detection systems, showing combination strategies for both diagnosis and treatment. The result is a single source, collecting the valuable information published in specialized journals and thus often difficult to locate for members of the other disciplines involved. Challa Kumar is currently the Group Leader of Nanofabrication at the Center for Advanced Microstructures and Devices (CAMD), Baton Rouge, USA. His research interests are in developing novel synthetic methods for functional nanomaterials and innovative therapeutic, diagnostic and sensory tools based on nanotechnology. He has eight years of industrial R&D experience working for Imperial Chemical Industries and United Breweries prior to joining CAMD. He is the founding Editor-in-Chief of the Journal of Biomedical Nanotechnology, an international peer reviewed journal published by American Scientific Publishers, and the series editor for the ten-volume book series Nanotechnologies for the Life Sciences (NtLS) published by Wiley-VCH. He worked at the Max Planck Institute for Biochemistry in Munich, Germany, as a post doctoral fellow and at the Max Planck Institute for Carbon Research in Mülheim, Germany, as an invited scientist. He obtained his Ph.D. degree in synthetic organic chemistry from Sri Sathya Sai Institute of Higher Learning, Prashanti Nilayam, India.